CAMEROON, AFRICA: Cameroon resident Richard Tambe has a dream to make Cameroon more accessible to it’s citizens and visitors. To realize that dream, he registered with GAATES and successfully completed his certification as an expert in accessibility of the built environment. Richard was highly motivated to achieve his certification to give him the credibility to make change in his country. He has a plan. GAATES initiated the International Certification Program in 2017 to meet an identified need for recognition of international certification of accessibility consultants who are working with the built environment. GAATES graduates are emerging or current leaders in the accessibility field with the technical knowledge, experience and credibility in the field of accessibility and application of universal design to the built environment. 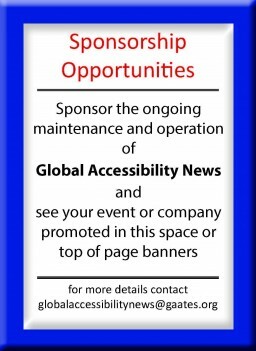 GAATES has a roster of recognized international accessibility experts that conduct the reviews and interviews. The application procedure is available on the GAATES website www.gaates.org. Richard’s knowledge and experience earned him certification as an accessibility consultant. His character and commitment to inclusion despite extenuating barriers has earned our respect and admiration. Due to a spinal cord injury, Richard brings a personal insight to his accessibility work. Despite his heightened awareness of mobility barriers his work is characterized by a strong awareness of the full range of disabilities and design solutions for all. Richard’s plan is to continue his work from the city of Bamenda in the north-west region of Cameroon. This region has seen recent political upheaval that has sometimes been violent and caused the closing of schools and businesses. Despite these uncertainties, his spirit for inclusion is highlighted by his founding of an inclusive vocational primary school, ensuring access to accessible polling stations, Braille election materials and sub-titling and sign language interpretation of election news. 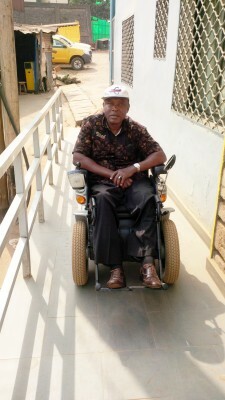 Having received international certification as an accessibility consultant, Richard plans to expand his consultancy business by contributing to the development of improved building codes and standards and to continue to promote universal design in Cameroon and beyond. We congratulate him on being an accessibility rock-star.